Award winning garden designer, Alexandra Noble, has been commissioned by the Royal Horticultural Society (RHS) to create a Health and Wellbeing garden at RHS Hampton Court Palace Flower Show (3rd to 8th July 2018). She is one of four designers who will be creating gardens in the brand new Lifestyle Gardens category, which seeks to create real gardens for real people. Alexandra’s design aims to address the increasing need to disengage with the fast-paced demands of an intrusive world and restore a sense of internal balance and refreshed perspective. The garden will feature a circuitous path, laid with porphyry setts, that lead the visitor through the garden in a continuous loop. This journey encourages walking meditation, a mindful practice that creates a calming rhythm to soothe the mind and bring conscious thought back to the present moment. The texture of the path will aid interaction between the foot and the ground, establishing a connection and aiding meditation. A cushioned camomile seat invites moments of reflection with the scent of crushed leaves aiding moments of tranquillity while a cor-ten steel rill flows through the garden bringing sound and movement. Planting is soft in texture with restful colour palette in shades of blues, creams and lemon. The selected plants have also been chosen for their fragrance, medicinal and pollinator friendly properties, with herbs supplied by Jekka McVicar, making up the vast majority of the selection. The garden will appeal to all the senses for scent, taste and touch, fragrant herbs, textured paths and edible plants and for sound. Trees will provide a sense of enclosure that appeals to a basic human instinct to be sheltered and protected. 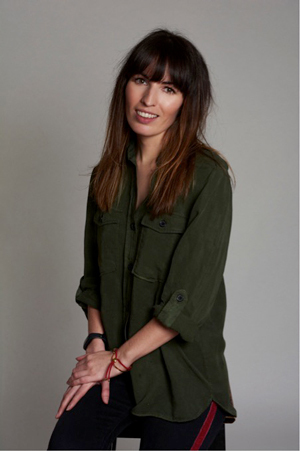 In 2014 Alex won the BBC’s ‘The One Show’ national competition to design a feature for RHS Hampton Court Palace Flower Show and following this success, she began working for Luciano Giubbilei. Since 2016, Alexandra has worked on a freelance basis for numerous designers, including Jo Thompson Landscape & Garden Design, as well as for the RHS where she has been involved with planting layout and managing teams of volunteers for the Butterfly Domes at both Hampton Court Palace and Tatton Park Flower Shows. In November 2017 was named as one of Pro Landscaper’s 30 Under 30: The Next Generation – recognising her as one of the industry’s top young professionals. 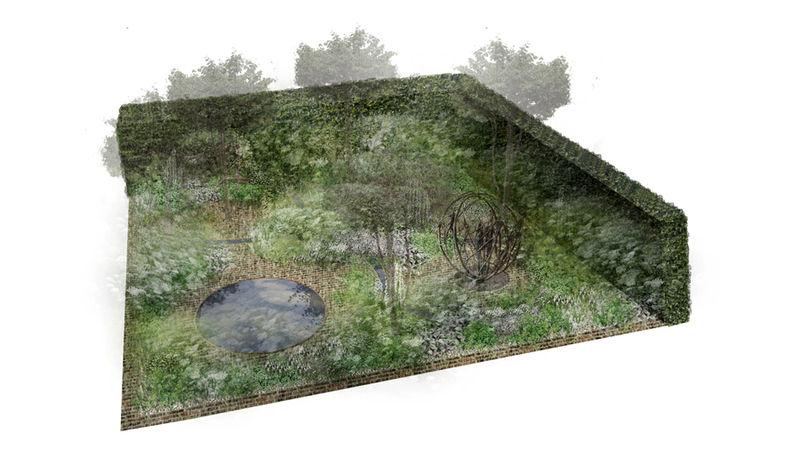 The new Lifestyle Gardens category at RHS Hampton Court aims to offer garden design solutions to suit the demands of modern lifestyles.